The town of O'Fallon has a "family first" mentality and it shows. Over the past decade, the family-friendly town has flourished, and is today one of the fastest-growing cities in the country. The town's small-town values make O'Fallon a wonderful place for individuals and families alike to live, work, and play. The dynamic economy of O'Fallon is home to a growing number of businesses. Today, the streets of O'Fallon are lined with nearly 1,500 business that reflect the diverse tastes and lifestyles of O'Fallon's growing population. The first resident to call O'Fallon home was a German immigrant by the name of Nicholas Krekel. Krekel was not only the town's first residents, but also served as the town's first railroad agent and postmaster. The enterprising immigrant, operated a store out of is home, which had the distinction of also being O'Fallon's first home. By 1912, the city of O'Fallon was home to more than 600 residents. It was during this time, that the city was officially incorporated, and O'Fallon's first major, Fred Jacoby, developed the first phone service and constructed the town's first drug store. The growth of O'Fallon continued over the next 40 years, and by 1956, the city of O'Fallon boasted a population of nearly 1,500 people. It was during this period of time when O'Fallon began to develop its very first subdivisions. Eventually, a sign was placed alongside the highway that heralded the town as "O'Fallon, a Good Place to Live." Today, the town of O'Fallon continues to grow. Currently, the town's covers an area of nearly 30 square miles, and is home to a population of nearly 83,000 residents. The city of O’Fallon has been honored with numerous national accolades over the last ten years. The fantastic community has been recognized as one of the "Best Places to Live" and as one of "America's Top 100 Cities." The city's business friendly attitude and large array of recreational opportunities make real estate in O'Fallon, MO an attractive for many reasons. The city of O'Fallon is home to an immense amount of parks and open spaces. The public recreational and green spaces are scattered throughout the city and offer residents a range of experiences. From exciting sports events to quiet moments along the shores of the lake, the city's parks, offer residents a variety of ways to unwind. The city's various parks feature a diverse array of amenities, including sports fields, a minor league baseball stadium, an outdoor aquatic center, an indoor recreation complex, playgrounds, a skate park, tennis courts, horseshoe pits, and a lake for fishing. The city of O'Fallon is home to a number of community and seasonal events that are held throughout the year. From the Cabin Fever Daze to the Heritage Freedom Fest, residents of O'Fallon are fortunate to live in an exciting community with a multitude of exciting events. Home buyers considering real estate in O'Fallon, MO will benefit from the assistance of an area real estate professional. Janice Freeman, a local real estate professional, is the right choice for home buyers considering the area. 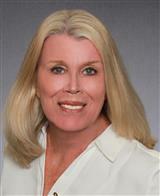 Janice Freeman has helped countless home buyers find homes in the area that fit both their lifestyle and budget. For more information about homes for sale in O'Fallon, contact Janice Freeman today!